any experience with chiropractic and sciatica? Pain can occur in the body in various ways, and a common type of pain which is associated with lower back pain is Sciatica. Anyone who has experienced Sciatica can agree that it is difficult to find relief from the pain associated with the condition. Sciatica is associated by an irritation of the nerve roots which emerge from the lower spine. Hence it is classified as a type of nerve pain. The sciatic nerve is the largest single nerve found in the human body, and it connects the spinal cord with the leg and foot muscles, so you don’t want to mess with it! Along our spine, we all have rubbery pads between the vertebrae called spinal discs. Our spinal discs act as natural shock absorbers for the vertebrae and ensure smooth movement of the spine. However, when the disc is out of place, it leaves the sciatic nerve impacted, pinched, compressed, and irritated leading to unbearable pain. In some cases, it can arise in some forms of arthritis. The pain is sharp and is felt in the lower back to your hips and buttocks all the way down to your feet. In Australia, it is estimated that 5 to 10% of people with low back pain have sciatica! That is around 200,000 to 400,000 Australians! Sciatica can either be acute or chronic and can last for a longer time if not treated. It is typically associated with a sedentary job or lifestyle. Over the counter medication can only help reduce the pain for some time but when it is not treated, it can return as chronic pain. Chiropractic is a form of health care treatment that focuses on the musculoskeletal system. It is a healthcare therapy aimed to relieve pain by correcting or adjusting mechanical disorders. Chiropractic deals with body pain and may serve as an appropriate therapy for sciatica relief. It helps to reduce the painful symptoms of sciatica. Are you resident in the North Sydney or Crows Nest area and experiencing lower back pain? We see clients at our North Sydney and Crows Nest clinic who use chiropractic treatment for the relief from Sciatica. We can help. Lower back pain from a lumbar disc injury is one of the most common health problems that people face every day. Disc injuries can occur in the cervical spine (neck), thoracic spine (upper back) or lumbar spine (lower back). They occur most often in the lumbar area because the lower back bears the most weight and force on a daily basis. When the body is in correct alignment, the underlying cause of pain and physical restriction is naturally eliminated. The body consists of eight major joints, including the shoulders, hips, knees and ankles. These joints are referred to as load bearing joints and they function best only when all four are vertically and horizontally aligned. When the body is put back in proper alignment through posture therapy by our Chiropractors at Spine and Health, pain relief and proper healing can begin. Our Posture Experts will meet with you, assess your situation and decide on a treatment program that will help eliminate your pain and fix your posture. In order to remain pain free and to be able to function efficiently, our bodies need to keep moving. For survival, the human body was designed to stand on two feet and remain in constant motion. However, today’s lifestyle of modern convenience and technology has enabled us to become much less active and even sedentary. Whether we are sitting incorrectly in front of our computers or hunched over our mobile phones, technology is enabling us to develop bad posture habits. These habits are creating unnecessary strain on our bodies. This inactive lifestyle can cause us to be vulnerable to certain injuries and can also interfere with healing and pain relief. Our Chiropractors at Spine and Health use posture therapy to correct the underlying bad posture habits or alignment problems that are causing the pain. Posture therapy is a safe and effective method for relieving the pain associated with a lumbar disc injury. Postural therapy not only heals and relieves pain, it also realigns the entire body so that you can experience the benefits of total health and wellness. Our Chiropractors at Spine and Health in North Sydney or Crows Nest are professionals who know how to treat the underlying cause of your back pain. We are different in that we focus on treating the cause instead of just the symptoms. Our goal is to fix your posture so that you can be pain free and stay that way for a healthy spine-happy life! Here in Australia we have a love/hate relationship with the sun. We love the outdoors but it comes with its drawbacks – sunburn and unfortunately this could lead to skin cancers. Ironically we have been told recently that we must spend time in the sunshine without sunscreen or protection! Why you ask?! For the health of our bones of course! When our bare skin is exposed to sunshine we produce Vitamin D. Vitamin D and it’s relationship with calcium is possibly the most crucial factor affecting our bone density. These days with the harsh UV rays we are taught to cover up and slip slop slap, but what has been discovered is that it is actually affecting the strength of our bones and leading to diseases such as osteoporosis. The National Osteoporosis Foundation estimated that 50% of females and 25% of males will suffer an osteoporotic fracture at some point in their lives (over the age of 50). Our bones are slowly but surely under constant regeneration through the mineralization of calcium (by vitamin D). And of course this process slows as we get older (peak is 25 years of age). It is no surprise then, with a lack of sun exposure, compounded with the physiological decline in regeneration of bone as we age, that so many women and some men suffer debilitating fractures. Allow your skin to have (sun-cream free) complete exposure to the sunlight 3 times per week for 10-15 minutes per session. As your local Spine and Health Chiropractors on the Lower North Shore we care for your health and especially your bones. Chiropractic care can diagnose, treat and prevent musculoskeletal disorders with an all-encompassing health and well-being approach. The Chiro’s in Crows Nest and North Sydney,are experts in pain and posture and tailor treatment schedules to the individual. Techniques used and pressure applied is done so on a case-by-case scenario. 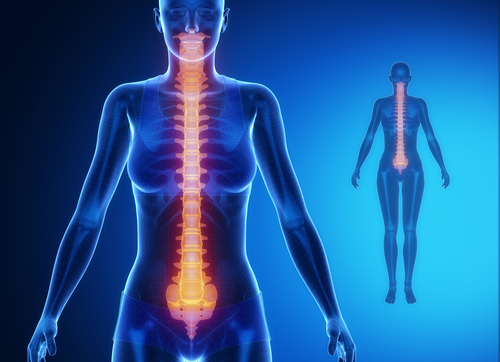 How can Chiropractic care help you with bone density issues? We will help minimize your risks of fractures and alleviate pain by gently realigning you spine to its ideal posture. We can give health advice, teach you strengthening exercises, and help you to help the well-being of your spine. So get out there and enjoy the sunshine responsibly, boost those Vitamin D levels, and improve the density of your bones!